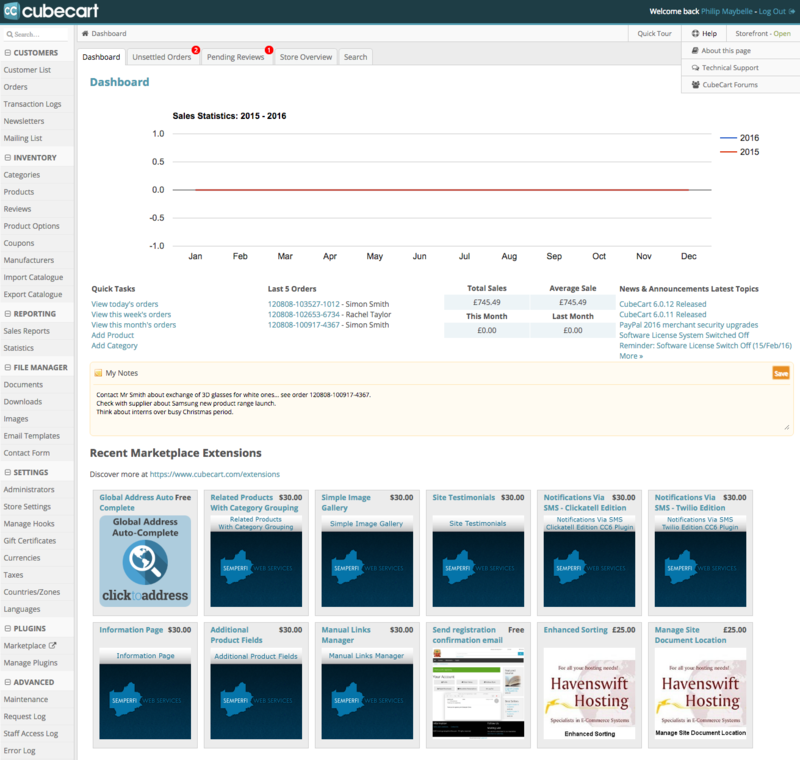 We are pleased to announce the release of CubeCart version 6.0.12. Increased minimum PHP version to 5.4 and MySQL to 5.5. Improved upgrade reliability for v3 & v4 image galleries. Dashboard exposure to recent marketplace extensions. Help menu access to technical support and community forums. The screenshot below shows links to support, forums and display of most recent extensions.